\r\n	This session mainly focuses of catalyst and catalysis.Catalysis is a process in which the rate of any reaction is altered which may be accelerated or retarded. \r\n	It is achieved by addition of a substance which will remain unchanged at the end of reaction called as catalyst. \r\n	Homogeneous catalysis: it is a type of catalyst in which the reactants and the catalyst both will remain in the same state even after the reaction. \r\n	Heterogeneous Catalysis: in this type of catalysis, the catalyst and reactants will be in different physical state this process is also called as contact or surface catalysis. \r\n	The global market volume for refinery catalysts should reach 2,234.3 metric kilotons from 2,019 metric kilotons during the time period of 2016 to 2021. \r\n	In this session of chemical technology, we deal with the preparation of individuals for work as analytical technicians in chemical laboratories or plants associated with bulk productions of chemicals, environmental engineering concerns, pharmaceuticals, or general analysis. Chemical technologist mainly deals with the designing of the chemical process or the experiments. Chemical technologists are more like the technician who assists the chemical engineers in designing of the chemical processes in the chemical plants. Chemical, petrochemical, and oil(petroleum) refining processes constitute a significant business in the united states. \r\n	Because of the various small scale and large scale sellers global chemical mechanical planarization market has now become highly competitive who are competing against one another with respect to quality, quantity, price, distribution, product analysis and marketing, innovation, and improvement. \r\n	Bcc estimates total merchant sales of these products in the u.s. Was $4.1 billion in 2010. The total u.s. Primary market value is forecast to get increase at cagr (compound annual growth rate) of about 2.5% to $4.6 billion by 2015. \r\n	This session mainly concentrates on the study of physical and Chemical Phenomena which occur at the interface of two phases. Or study of interfaces is known as surface chemistry. \r\n	it refers to the decomposition of molecular species onto the surface is known as adsorption. \r\n	It refers to the process in which one thing is absorbed by the other. \r\n	Example: Soaking up of water by the sponge. \r\n	The global flocculants market will reach $6.8 billion by 2021 from $5.0 billion in 2016 at a compound annual growth rate of 6.2%, from 2016 to 2021. \r\n	This session concentrates on the chemical reactors in which reactions takes place. This is the specialty in the chemical engineering or the industrial engineering which aims at studying and optimizing the chemical reactions for design of the efficient chemical rector design. For the designing of the reactor few important flow phenomena are considered like mass transfer, heat transfer, and reaction kinetics which are helpful in relating the reactor performance to feed composition and operating conditions. \r\n	The chemical segment has been dominating the demand for flow chemistry over the past few years. \r\n	The flow chemistry in chemical reactions with the need to adopt green engineering have a high rising demand. By 2013 the global flow chemistry market got 35% of segmented account in terms of its revenue. \r\n	The global market had reached $5.2 billion in 2015. It is seems to have increase from nearly $5.6 billion to $7.7 billion from 2016 to 2021 at a compound annual growth rate (cagr) of 6.6% for 2016-2021. 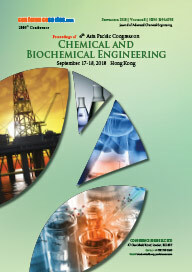 \r\n	This session focuses on the topic of biochemical engineering, which says that it is the branch of chemical engineering which deals with the designing and manufacturing of the different unit operations involving biological material or living organism. 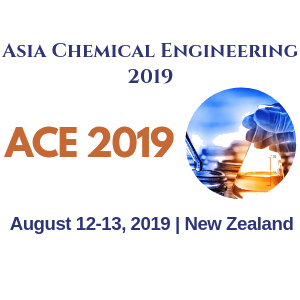 It involves the application of chemical engineering methods and approaches to industrial operations which entirely based on the biological elements. \r\n	Main application of biochemical engineering are in petrochemical industry, food processing, pharmaceutical companies, biotechnology, and water treatment industries. \r\n	In the past few years, the process of large-scale bio-manufacturing has become more practical owing to advancements in technology and the easy availability of machines large enough to produce significantly high volumes of biologics due to progress in expression systems, cell and organ generation, and batch cultures. These advancements have boosted the requirement for equipment as demand for small volume and multiproduct capabilities have enabled facilities to adjust unit operations based on demand without incurring wastages and additional expenses. \r\n	This session of Agrochemicals deals with the chemicals which are related to the field of agriculture like fertilizers, pesticides etc. Agrochemicals are mainly introduced into the market for the purpose to protect crops from the pests, insects and to improve quality of the crop yield. Many agrochemicals are toxic in nature and storing them in a bulk may lead to the severe environmental and health risks because of this reason usage of these types chemicals are highly regulated. \r\n	Nowadays in place of these agrochemicals different types of biochemical are used. Which are prepared by different types of biochemical processes. Which are known as bio pesticides these work in non-lethal ways as repellents or disrupting the mating pattern of pests. Which are way better than the organic pesticides. \r\n	The agrochemical global market will reach $266.0 billion by 2021. \r\n	The agrochemical global market was $213.2 billion in 2016 and it should reach $266.0 billion by 2021 at a compound annual growth rate (cagr) of 4.5%, from 2016 to 2021.based on geography, it is expected that china , japan, and asia pacific will have a high demand in the field of agrochemical and north america and europe are expected to witness sluggish growth in the field of agrochemical market upcoming years. \r\n	The oils and gas price crisis has had a tremendous impact on global exploration and production activities. \r\n	petroleum engineering is determining the flow related properties such as pressure, volume, temperature, porosity, permeability, etc., of the reservoir fluid and formation to optimize the recovery techniques and production. Reservoir characteristics such as diagenetic history, rock quality, production potential, formation damage during stimulating, petroleum products sensitivity required for new industrial chemicals, etc., can be found through reservoir analysis. \r\n	According to market analysis and diagnostics, the global natural gas storage was $562.2 billion in 2015 and it will reach $796.4 billion in 2020, up from registering a compound annual growth rate (cagr) of 7.2% for the period of 2015-2020. \r\n	heat transfer research covers the entire subjects of the heat transfer which involves the different heat transfer operations like conduction, convection, radiation and it also concentrates on phase changing operations like boiling, solidification. Heat transfer is a disciplinary branch of thermal chemistry which deals with conversion and exchange of thermal energy between physical systems. \r\n	The global market for thermal management products are expected to grow from about $10.1 billion in 2013 to $10.6 billion in 2014 and $14.7 billion by 2019 with a compound annual growth rate (cagr) of 6.8% between 2014 and 2019. \r\n	In this session we deal with the mass transfer, mass transfer is the net movement of molecule from one location to another location, usually meant phase, stream, component, or fraction. Mass transfer occurs in many processes like absorption, adsorption, evaporation, distillation. Recent development in the field of mass transfer refers to new approaches to mass transfer. \r\n	Distillation of alcohol, drying of cloths etc. \r\n	Evaporative condensing is a mass transfer phenomenon which decreases the heat rejection process using the cooling effect of evaporation. Bottom part of condensing temperature leads to the reduction in workload of the condenser and this helps in the improve of fuel efficiency. This type of condenser is used for condensing some substance from its gaseous state to liquid state and helps to boost its cooling effect. \r\n	Many different types of evaporative condenser are available to use according to its application across many different sectors from household sector to commercial sector. Large evaporative condensing units are generally used as large air conditioning units for commercial purposes and with the rising performance efficiency the market for evaporative condensing units are expected to achieve growing market demand during the forecasting algorithm. \r\n	The global market analysis for mass transfer equipment (freeze dryer) and related contract manufacturing organization (cmo) services was $15.9 billion in 2012. The composite revenues projected for 2013 are nearly $17.6 billion and $28.7 billion in 2018, a compound annual growth rate (cagr) of 10.4% between 2013 and 2018. \r\n	This session focuses on modern thermodynamics or thermodynamics which is the study of heat and temperature and their relationship with the energy and work. Thermodynamics is branch of physics. The main application of thermodynamics was mechanical heat engines later it was extended chemical compounds and chemical reactions which is studied under chemical engineering thermodynamics. \r\n	The global market for gasifier was 595 annual new units in 2012 and is might get increased to 644 annual new units in 2013 and 857 annual new units by 2017 at compound annual growth rate (cagr) of 7.6%. \r\n	This session of food technology mainly deals with the food safety, food toxicology, food spoilage. Food technology is a branch of food science that deals with production processes which helps in making of food. Because of extensive food research, a systematic investigation into a variety of food’s properties and compositions we consume every day. After the initial stages of research and development comes the mass production of food products using principles of food technology. These interrelated fields contribute to the food industry. \r\n	mass spectrometry in food technology is a powerful tool to analyze small molecules with even an isotope difference and extensively used in food biotechnology, food processing and food toxicology. Mass spectrometry works by ionizing chemical compounds to generate charged molecules or molecule fragments and measuring their mass-to-charge ratios. \r\n	Because of the increase in the incidence of food contamination the global food safety testing market has witnessed impressive growth over the last few years because of which there is a growing demand for food safety testing by food industries. Owing to increasing awareness about foodborne diseases and various technologically advanced techniques and equipment deployed for food safety testing, the market for food safety testing has been treading along a healthy growth path over the past few years and the market is expected to continue to exhibit strong growth over the next few years as well. The vast expansion of the global food and beverages industry, coupled with the growth of the food industry, has also been a key factor driving the growth of the global food safety testing market. \r\n	The market survey shows that the advanced food packaging solutions had got increases from $31.4 billion to $33.3 billion from 2011 to 2012. The market growth looks promising and the overall market value for 2017 is projected to be nearly $44.3 billion, after increasing at a compound annual growth rate (cagr) of 5.8%. \r\n	This session refers to modeling and simulation which deals with the model, mathematical or logical representation of a system. Modeling and simulation facilitate understanding a system’s behavior without testing the system in the real world. Simulation can give support to experimentation that occurs completely in software, or in human-in-the-loop environments where simulation represents systems that generates data needed to meet experiment objectives. Simulation can also be used in the training of persons using a virtual environment that would otherwise be difficult or expensive to produce. \r\n	The global bioinformatics market was nearly $7.5 billion by 2017 which was valued at nearly $2.8 billion in 2011, nearly $3.2 billion in 2012, and was forecasted to grow with increase compound annual growth rate (cagr) of 18.7%. \r\n	In this session we deal with the petrol, petrochemistry and petrochemicals, petroleum is a naturally occurring flammable liquid consisting of a complex mixture of hydrocarbons of various molecular weights and other liquid organic compound, that are found under geological rocks beneath the earth's surface. The process of transformation of crude oil into the useful products is known as the petroleum refining. \r\n	the compounds obtained after the process of refining are called as petrochemicals and some of the petrochemicals can be obtained from the fossil fuels such as coal, natural gas, petrol etc. The catalysts for chemical analysis, petrochemical, and oil refining processes constitute a significant business in the united state. \r\n	According to market analysis done on the petrochemicals, the research study says that the global market for petrochemicals is expected to reach a value of us$885.1 billion by the end of 2020. The market will grow with a cagr 6.4% from 2014 to 2020. \r\n	This session deals with nano technology and its application, nanotechnology is a science and technology concerned with the study of particles at the size of nano scale that is its size ranges between 1-100 nano meter. It can also be stated that manipulation of matter on an atomic, molecular, and supra molecular scale. Nanotechnology has a huge range of applications, like it can create many new materials and devices such as in nanomedicine, nanoelectronics, biomaterials energy production, and consumer products. It also raises many of the same issues as any new technology, including concerns about the toxicity and environmental impact of nanomaterials. \r\n	Nano technology impacts many factors in that one of them is food science from earlier stages of food irrigation to the final step of food packing. Companies are developing nanomaterials that will make a difference not only in the taste of food, but also in food safety, and the health benefits that food delivers. \r\n	according to market analysis global nanomaterial market was estimated to total nearly $106 billion in 2011 and $112 billion in 2012. The market might reach $188 billion by 2017, and have a five-year compound annual growth rate (cagr) of 10.8%. \r\n	bcc research estimates the total global market for separation and purification equipment was about $11.2 billion in 2013 and $11.4 billion in 2014. This global market for industrial separation equipment’s will reach $14.3 billion by 2019, with a compound annual growth(cagr) of 4.7%. \r\n	In this session of water science and technology we deal with the different water availability, water pollution, and waste water treatment. Water is most abundantly available liquid in nature, there are many resources of water are present like ground water, rain water, river water, frozen water. \r\n	The water and wastewater technology market shows that it was $72 billion in 2016 and it was expected to reach $92 billion by 2021 with compound annual growth of 5.0%. \r\n	This session gives us clear view of process safety, different types of hazards, and effects of hazardous and steps to control them. Chemical process safety is the management skill or blend of engineering which focuses on the preventing catastrophic accidents, near misses, particularly structural collapses, explosions, fires and toxic releases. \r\n	These hazards are dangerous to environment and human health that i why a special care is taken to handle these type of compounds and study of all those techniques is studied under the huge branch of chemical engineering known as chemical process safety. \r\n	Hydrogen element is abundant on the earth it is always found as part of another compound, such as water (H2O), and must be separated from the compounds that contain it before it can be used in vehicles. Once separated, it can be used along with oxygen from the air in a fuel cell to produce electricity by an electrochemical process. There are many methods to produce hydrogen. Thermochemical processes use heat and chemical reactions to release hydrogen from organic materials such as fossil fuels and biomass. Water (H2O) can be split into hydrogen (H2) and oxygen (O2) using electrolysis or solar energy. Microorganisms such as bacteria and algae can also produce hydrogen through Biological Engineering.